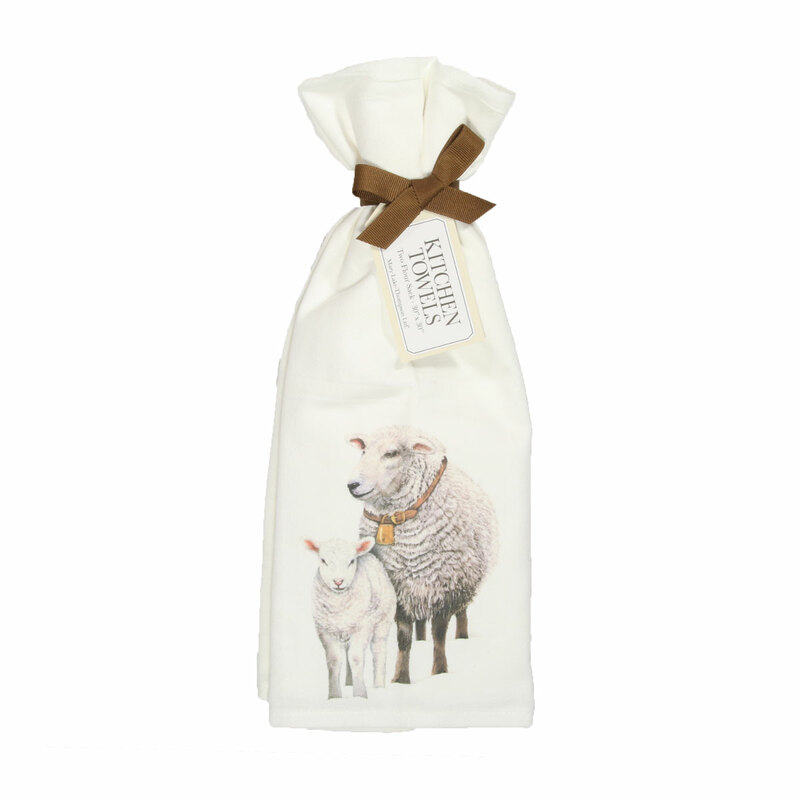 Add a small piece of rustic flair to your home with these beautifully simple sheep-themed accessories! Perfect additions for your kitchen or baaa-throom (hehe, get it?! ), you might not be able to get just one. If rustic isn't your style, any of these items would make a sheep-ly sublime gift for a sheep-minded friend! You can also view all Mary Lake-Thompson Collection. Two hand folded flour sack towels tied with a matching bow and hang tag. Machine wash in cold water on gentle cycle. Use a color guard mild detergent. NO bleach or bleach alternatives (optic brighteners). Air dry or tumble dry, with no heat. Iron from reverse side only, never directly on the image. Earebel Individual Headphones - Black From $25.00 to $50.00Select options on sale now!